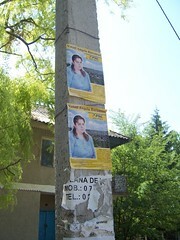 I was out yesterday all day (from 7:30 to past midnight in the evening) observing elections in various places. In general it was quite well managed, considering the circumstances. I will write more about it later on, but one thing is for sure: Moldova really is a beautiful country, with a lot of really nice people. I hope these elections will be for many of them a turn for the better. Thanks to Open Estonia Foundation and Estonian European Movement, I have a great opportunity to participate as an election observer in the local government elections here in Moldova. Today we were briefed about the electoral system and the political situation and were divided into teams. I go to the east of the country, near the breakaway Transnistria region. Tomorrow will be the hardest day of the visit, as we have to wake up early, drive around, visiting the polling stations all day, and observe the counting in one of them late evening when polls close. They vote from 7(!) to 21 here, so there is plenty of time to see. It might be interesting to know that in addition to our delegation of 10 people, we have met at least two other Estonians observing elections here through different international organisations. 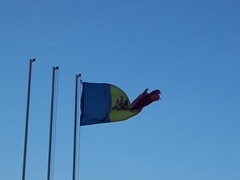 I am visiting Moldova to observe the elections here. The people are quite nice, the trip was mostly trouble-free, but still exhausting. We took the plane from Tallinn to Prague (my first flight on Czech Airline), from Prague to Budapest and finally from Budapest to Chisinau (see the photo, the plane was a small Saab, with propellers). This is my first ever trip to Moldova, first time I stepped on the ground in Prague or Budapest (this time only airports, though) and the second time I have visited the so-called former Eastern bloc country. The first was Kyiv last year. As there is free wifi at the hotel room (Yay! ), I hope to write at least daily updates and thoughts that come to me due to me being here.